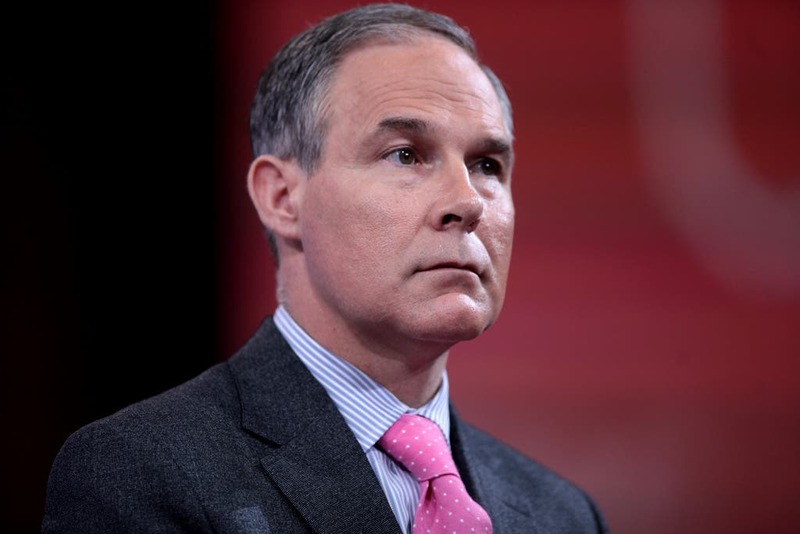 Scott Pruitt must start doing his job, a federal judge has ruled. Scott Pruitt. Image credits: Gage Skidmore. If you’ve got no idea what I’m talking about, Scott Pruitt is the head of the Environmental Protection Agency (EPA), where he was appointed by President Trump. Pruitt has a long history of anti-environmental claims and actions, so his nomination came as a shock to many people. For instance, he said that greenhouse gases such as CO2 are “good for us” and that CO2 doesn’t cause global warming — something which scientists have specifically debunked, which has honestly been common sense for decades. “I would not agree that it’s a primary contributor to the global warming that we see,” Pruitt said, adding, “there’s a tremendous disagreement about the degree of the impact” of “human activity on the climate,” Pruitt said for CNBC. Naturally, that disappointed and frustrated many people. The next day, a not-for-profit group called Public Employees for Environmental Responsibility (PEER) filed a Freedom of Information Act (FOIA) request with the EPA, asking to see any scientific documents that would justify Pruitt’s position. Since Pruitt is now heading a national agency and has made statements that go directly against what scientists say, he needs to justify his position. The EPA refused to produce such documents, so PEER sued them — and now, a federal judge has ordered that Pruitt must produce the documents. Of course, no such documents exist, since Pruitt’s position is essentially anti-science. Essentially, the judge has put Pruitt in a position where he must either produce misleading documents or admit that his position is baseless. “EPA’s strained attempt to raise an epistemological smokescreen will not work here to evade its obligations under the FOIA,” Judge Howell wrote. If we take a step back and look at the whole situation, it just looks surreal. The head of the agency in charge of protecting the environment has slowly but surely taken his own agency apart while promoting anti-environmental policies. Eighteen US states are taking the EPA to court for weakening regulations, and even something as trivial as producing scientific documents is becoming a massive problem — because essentially, under Pruitt, the EPA has turned against everything it stands for. This ruling could be a major turning point, though. The court ruling pushes Pruitt to do what any responsible leader would: justify his position. It’s not based on science, then what is it based on? We may soon learn the answer.